Since my Galaxy Nexus smartphone has an NFC, or near-field communication, chip, I decided to give Google Wallet a try for a wireless purchase. Google (s goog) Wallet is still in beta, so even though the Nexus supports NFC, the software wasn’t pre-installed. Officially, Wallet is only supported on the Sprint (s s) Nexus S and doesn’t look likely to be on Verizon’s Galaxy Nexus(s vz)(s vod). I took matters in my own hands by installing Google Wallet myself. I first had to root my phone and install a custom recovery application. But after that, it took me all of five minutes to install Wallet by following the steps here on the XDA-Developers site. It’s not something I’d recommend to casual smartphone users, but if you’re one of those that root your phone or install custom software, it’s a simple process. Google provides a $10 credit for all new Wallet users, which I received upon signing in to the software with my Google account. You can also link a Citibank(s c) MasterCard(s ma) to the Wallet app, so I did that too. Citi will initially limit your spending to $100, but you can request an activation code to enter in the Wallet app for access to your full credit line. I didn’t do that until after my first purchase. Here’s an admittedly bad video of my first Wallet use at a gas station; I was juggling two phones while trying to keep my personal information off-camera (and trying not to cause an explosion by using a smartphone at the pump! ), so this didn’t work out the way I had planned. And of course, doing multiple takes would cost more money, so bear with me. I’ll do a better video soon; promise! I routinely pay for goods and services with a PayPass-enabled credit card, so the experience was very similar. Google Wallet requires a four-digit PIN to be unlocked and then, instead of holding a credit card near a wireless terminal, you simply hold the phone near it instead. My phone vibrated, and the gas pump made a small acknowledgement sound once the NFC chip was recognized. I was able to immediately pump my gas, and the transaction appeared on my smartphone’s display. There’s an area in Google Wallet to make notes on each transaction, which is nice. You can also have the location automatically recorded. I tend not to get paper receipts for electronic transactions, but I know some people do. It would be nice if Wallet let you take a picture of the receipt and attach the image to the specific transaction. From a safety perspective, I have no real concerns. I’ve already been making purchases at wireless terminals with my credit cards for at least two years. This is no different. In fact, it’s probably more secure. Anyone can find my credit card and use it to buy things. But on my phone, someone would have to unlock my device to gain access to it, then also know the PIN for Google Wallet. 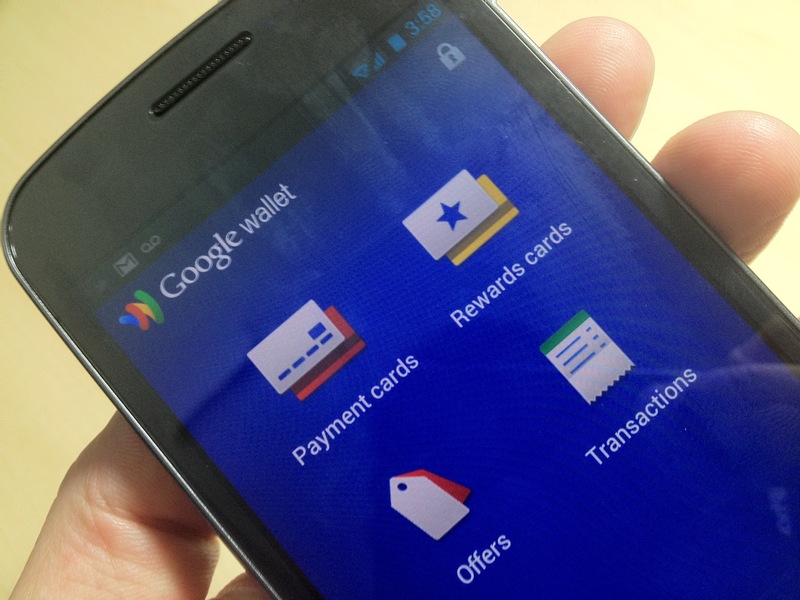 Overall, I find Google Wallet to be simple and effective. I used it again today at a McDonald’s; (s mcd) it should work at any of the PayPass terminals in the U.S. As a result, I plan to keep using it as often as possible. After all, I always have my phone with me.